POS technology has been advancing at an amazing pace in recent years. 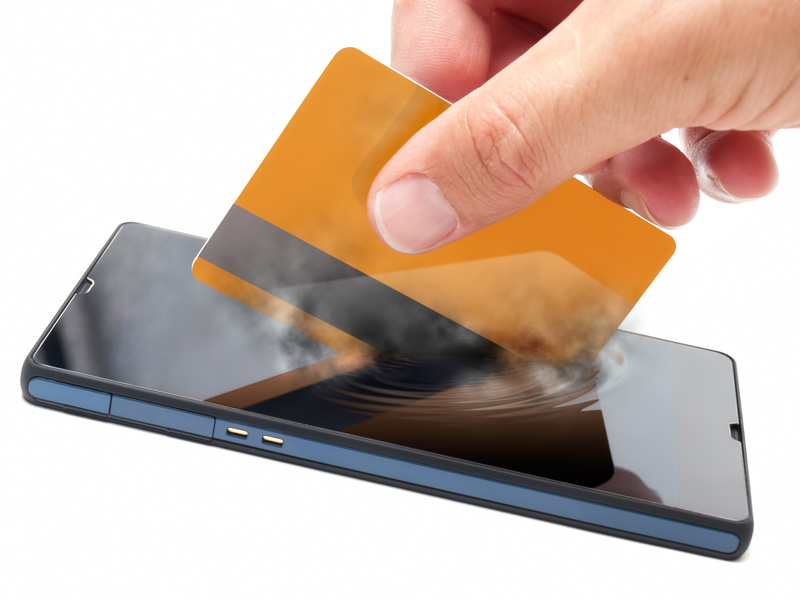 The remarkable success of Apple Pay has drawn a lot of attention to the subject of mobile payment systems. There’s no doubt that this type of integrated payment system will form the basis of the next wave of POS services. As mobile payment technology rolls out across the nation and picks up speed, it’s important for businesses to stay on top of the trend. The ability to accept this form of payment and process it is likely to be increasingly important as more consumers accept and put the technology to use. Meanwhile, credit cards are changing rapidly with the spread of EMV chip card technology, and retailers need to get on board with a deadline for the phase-out of magnetic strips in the near future. While Google Wallet has actually offered mobile payment services since 2011, it has not surprisingly been the launch of Apple Pay in 2014 that brought the technology into the spotlight. Google has been quick to catch up, and much like Apple and Android, the two systems are likely to split the market share more evenly in the future. Meanwhile, more companies are looking to get in on the market; Samsung is reported to have their own competitor to Apple Pay in the near future. This form of contactless payment via mobile phone, known as near field communication (NFC), is one of the most important pieces of POS technology for retailers to jump on; the number of companies accepting contactless mobile payment is growing quickly. Already in common use in Europe and Canada, EMV technology (which stands for the three credit card companies, Europay, Mastercard, and Visa, that developed it) is growing quickly in popularity in the US. Gone will be the swipe of the magnetic strip, and instead, all the information is stored in a small chip implanted right into the card. These chips create a much more secure transaction by generating a new code every time they are used. Credit card companies have given US retailers a deadline of October 1, 2015, to start accepting the new chip cards, which means it’s time to upgrade your POS systems to accept them. In addition to these two big innovations in payment technology, there are numerous other technologies in use. Mobile credit card processors are becoming more common, thanks to technology like Square, while classic registers are being replaced by tablets and mobile phones on sales floors. The 2014 Innovator Expo showcased a number of integrated payment systems that are likely to become a reality in the near future. Apps that assist shoppers in both saving and spending money are also on the rise. There’s no question that staying on top of the new POS technology is going to become more vital in the next few years. While there is a hard deadline for accepting EMV chips, customers are beginning to expect mobile payment processing, so businesses will need to be equipped for it. It’s important to upgrade systems with an eye to the future, so that multiple upgrades won’t be required as technology changes. As with all POS systems, the more recent the technology, the more secure it will be – certainly not a small point when it comes to investing in technology. Restaurants are at high risk for loss for many reasons, but employee-caused losses are among the most common. Unfortunately, it can be all too easy for activities like skimming of the till to take place, especially in busy restaurants with a large number of employees. 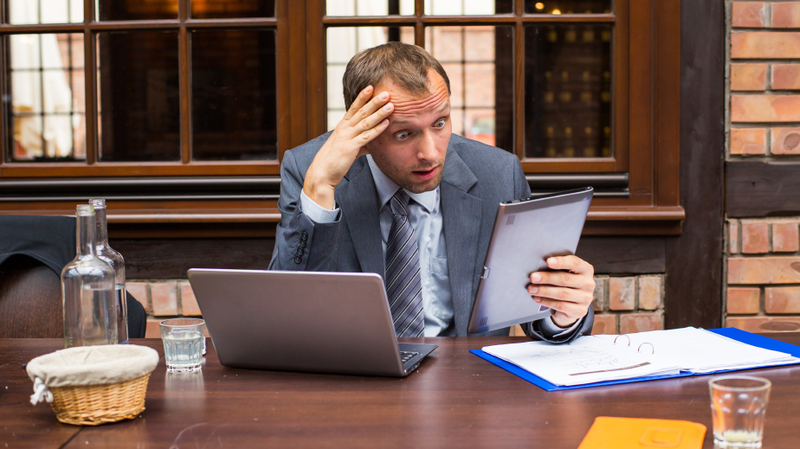 While these losses are often in small amounts, they can add up to big problems for a business. However, by following a few tips and implementing a few procedures for monitoring and investigating employee activities, you can reduce your risk and losses that can impact your bottom line. The fewer people who have access to the cash, the lower the odds that cash will disappear. Limit the number of people who have access to the cash drawer and cash as it is transported at the end of the day. When fewer people have access to cash and there is a clear chain of accountability, you can lower the opportunities for cash losses and ensure more scrutiny on the people who do have access. Employees are less likely to consider skimming the till if they know they are among a select few who will face scrutiny if there is a problem. While cash is often the area of focus for losses, in the restaurant industry inventory can be as much of a concern, if not more. Employees may be less likely to see it as a theft if they take something from the restaurant’s inventory, or they may not realize the impact of giving a free meal to a friend. Inventory control systems, used properly and linked to your POS system, can help you to see where losses are occurring so they can be addressed. Supervision of employees can come in two forms: electronic surveillance and the eyes of good supervisors. Both are important to loss prevention. Video surveillance and systems such as key cards and till login controls can all act as deterrents to employees who might consider skimming or other forms of theft. Having human eyes on the process, however, can help you to identify the things you might not catch via electronic methods. Trusted employees in supervisory positions are able to understand the situations that lead to loss and recognize the thefts that even employees might not realize are a problem, such as grabbing a drink a few times a day or giving a friend a free side dish. Training programs can help to stop losses before they start by ensuring all employees know what is expected of them and what the proper procedures are for handling cash and inventory. Thoughtful training can also help employees understand the consequences of their actions, both for the restaurant’s bottom line and for their own future. It’s also important to note that employees who feel valued are less likely to consider skimming in the first place. Programs that show appreciation for your employees can go a long way to forming bonds of trust and preventing losses. 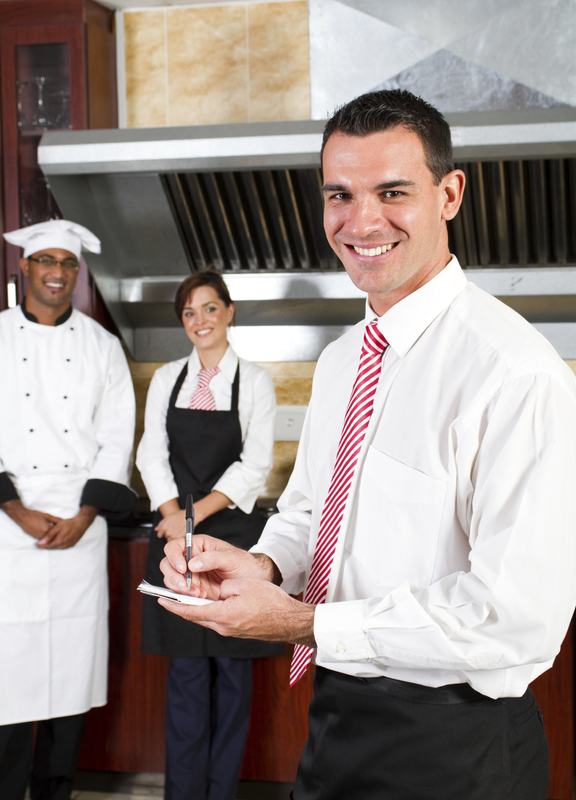 Loss prevention companies can take some of the burden of monitoring your restaurant’s inventory and cash transactions. Hiring an outside company to watch for red flags, handle surveillance, and examine inventory and transaction reports frees you to focus on proactive loss prevention – and the day-to-day running of your business. Because the company is installing and monitoring surveillance systems, you won’t have to dedicate time to learning them or to monitoring them yourself – and loss prevention companies have the experience to catch the problems you might miss. In addition to being one of the biggest tasks to undertake, monitoring your inventory is one of the most complex parts of running a restaurant, and mistakes in your inventory control system can be costly. There are a number of ways inventory loss can occur – from employee dishonesty to simple mistakes; however, with the right inventory control system in place, you can prevent financial losses that can threaten your restaurant. Inventory is complex because it includes such a wide variety of items that need to be on hand at any time in a restaurant. The food itself, items needed to prepare the food, paper products, tableware, and more are all part of your inventory. The balance between having just enough of everything on hand and having too much or too little can be difficult to strike. A shortage of any inventory item means you can’t provide for your customers, but having too much of any item could lead to lost money due to food going bad and being wasted. Careful inventory control means not only knowing what you have on hand at any given time, but also knowing how much you need to replace, where that inventory is going, and where losses are coming from. Computers have changed the way restaurant owners track inventory. Using the right software can make the tasks of avoiding and catching inventory loss much easier. There are a number of software options on the market. The size of your restaurant and the amount of inventory you go through daily are factors in what type of software is right for you. Even with software in place, it’s vital that you make the regular updating and reviewing of your inventory a top priority; if not, problems caught by the system won’t reach your eyes in time to do anything about it. Remember that any software is only as good as the information entered into it, and in order to keep information accurate, careful and diligent efforts must be made on your part. Employee theft is a staggering problem in retail, costing billions. In a busy restaurant, it’s not difficult for an employee to pocket everything from cash to inventory. A common and simple method of employee theft is providing a customer with food, without entering it a sale, and taking the cash. Your inventory is now gone with no cash to show for it, linking the problem of cash theft to inventory loss. Advanced point of sale (POS) systems can help control this problem by ensuring that every employee is responsible for their sales and service. These automated systems can save you money in another way as well. POS systems take care of the math for your employees, ensuring that splitting a tab five ways doesn’t lead to an error that shorts the till. There is perhaps nothing more vital to inventory control than ensuring that everything is properly organized. Make sure that all of your employees understand the importance of the organizational plan and are returning items to their proper place. It’s also important that employees report inventory losses or problems immediately. Damaged goods or missing items must be dealt with quickly. Foster an environment where employees feel safe coming to you if they suspect theft on any level by a co-worker, and be certain to handle things in such a way as to keep the honest employee safe from retribution.